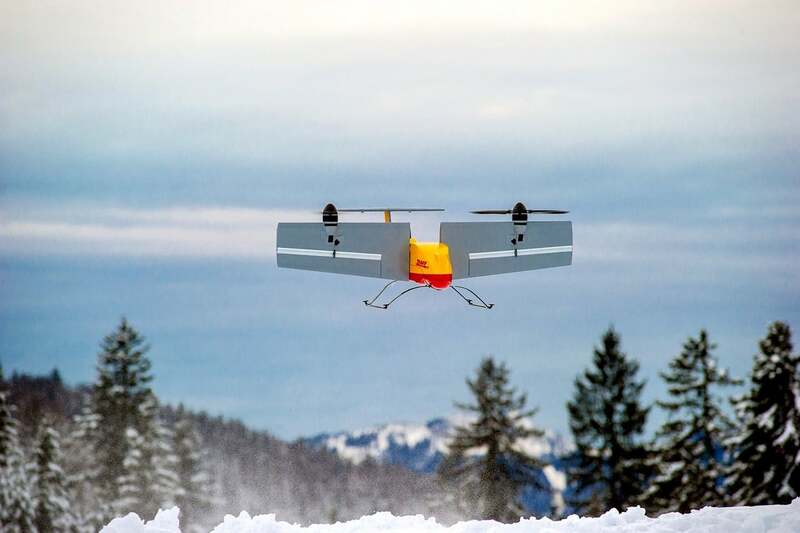 German delivery firm DHL have beaten tech firms Amazon and Google in delivering medical packages to remote or geographically challenging areas via drone, announcing a regular drone delivery service for the first time. In 2014 the company started delivering parcels to the car-free sandbar island of Juist in Lower Saxony. Inhabited by just 2,000 people, it is only accessible by plane or daily ferry and most transport on the island is done by bike or horse-drawn carriage. 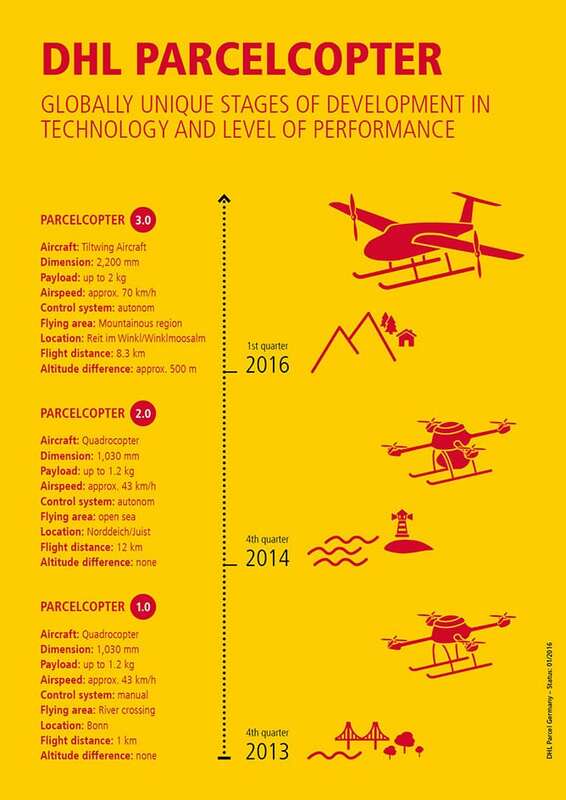 Flying under 50 meters to avoid entering regulated air traffic corridors, over three months of recent trials in the Bavarian community of Reit im Winkl, DHL’s autonomous ‘Paketkopter‘ delivered small basic medical aid and time-sensitive urgent goods to the German island – quicker than transporting them across difficult terrain in a car. Or via horse. In tests, the drone made 130 deliveries, carrying individual payloads of almost 2 kilograms and flying up to 40mph (64kph). 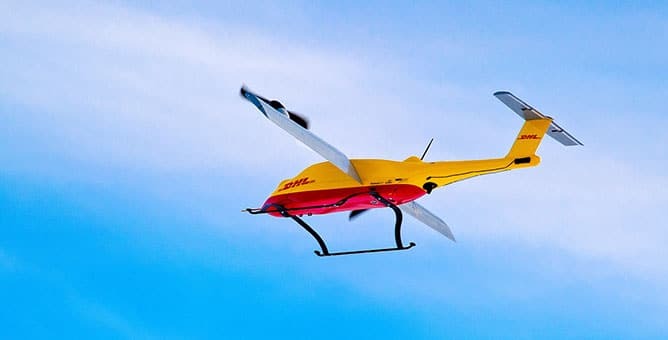 “The drone’s cargo was typically either sporting goods or urgently needed medicines and arrived at the Alm station within just eight minutes of take-off,” DHL said in a statement. ‘Natural barriers’ such as water or mountains are not an issue for the drone. The same journey would normally take 30 minutes by car. This is the first time an unmanned aircraft had been authorised to deliver goods in Europe and that automated drones have been used to deliver medicines anywhere in the world. 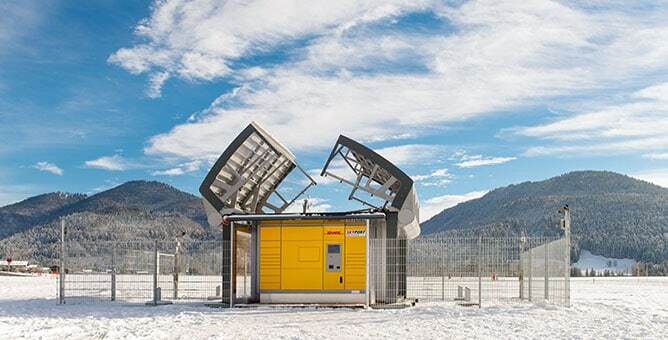 In finding the niche in Juist, DHL has overcome some of the difficulties that Amazon faces. The quadcopters do not have to navigate complex environments or deal with vandalism or theft once they land. Find out how to place orders with Paketkopter here. Tags: Automation, Communication, Drones, Drugs, Medicine, Pharmaceuticals, Transport.